Kirill “Likkrit” Malofeyev received a six-month ban from all League of Legends tournaments after comments he made on-stream about the Russian branch of Riot Games. In response, he announced his retirement on the Russian social media service VKontakte. In the ban announcement, League’s Continental League ruled that on Dec. 1, Likkrit made statements during a Twitch stream that “offend” the CIS League of Legends community, “discredit’ the business reputation of Riot Games, and “create a risk” to the LCL’s image. What were those offensive and risky comments? According to Russian esports site Cybersport, they were about the profitability of League in the CIS region and the teams he has played on. 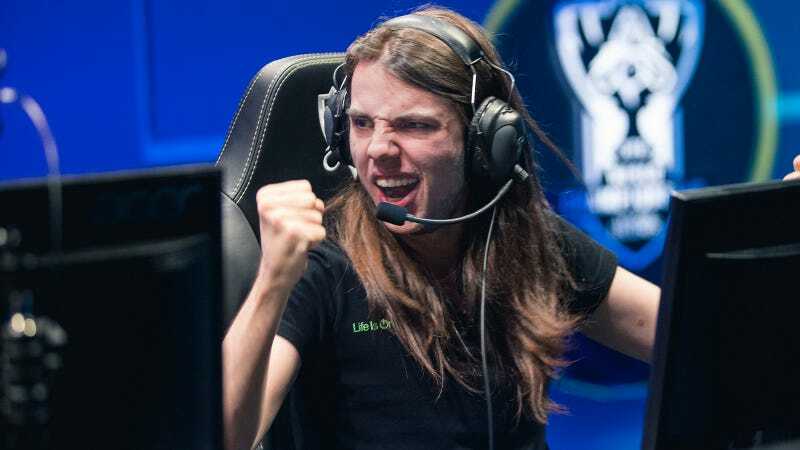 “League of Legends has never been a cost-effective discipline for most teams,” said Likkrit. He goes on to describe unpaid salaries from former team Albus NoX, saying they can’t even go to court as their contracts would not be recognized as legal, and it would cost more than Albus NoX could pay them. In accordance with regulation 10.2.5 of the Rules, team members should not make or support any statements or actions that are intended to harm Riot Games. Likkrit’s retirement post urged fans not to boycott the LCL, for some reason.